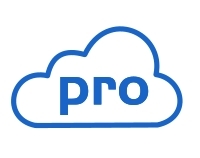 With the Deggy Cloud Pro service, our Deggy Pro Team provides the registration of hardware, custom tour setup and report management. Receive automatic email reports and failure notifications of tours and incidents. See your tour quality at a glance with our powerful new report summaries and get in depth information with our new detailed reports. The Tour Quality Report will show you a color coded percentage of the security officers’ monthly performed rounds. The Tour Map Report will display a comprehensive look at failed tour dates in a monthly format. * Requires Deggy Cloud Pro Activation fee to work. ** Standard 3 year warranty is extended for up to 5 years on new purchases of pens and downloaders being used with the Deggy Cloud Pro service. Extended Warranty is limited to 5 pens per downloading device & subscription. Canceling, non- renewal or interruption in service at any time forfeits extended warranty.